The Boyhood Home of President Woodrow Wilson was built in 1859 by local stove merchant, Aaron H. Jones, a native of Eastport, Maine. Jones, however, never occupied the house, selling it when it was new for $10,000 in February, 1860 to the Trustees of the First Presbyterian Church. Across Telfair Street from the church, the new house was a convenient location for the manse. The Rev. 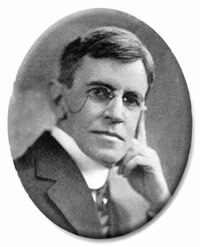 Dr. Joseph Ruggles Wilson, the minister, also received a raise from $2,500 to $3,000 per year. The First Presbyterian congregation was very pleased with its pastor, and by providing monetary and temporal comforts in this life, hoped to encourage him to remain with them for many years. Thus, 53 McIntosh Street, later known as 419 Seventh Street, would remain the official residence of the pastor of First Presbyterian Church for the next seventy years. The Wilson Family moved into their new home from the former Manse on Greene Street soon after it was purchased. 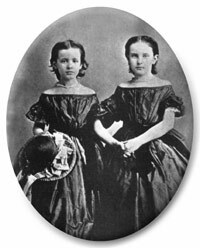 At the time, the family included the parents, Joseph and Janet Woodrow Wilson, also known as Jessie and Jeanie, two sisters, Marion (9) and Annie (6), and three year old Thomas Woodrow Wilson, called Tommy. Later, in 1867, a fourth child would be born in the manse, Joseph R. Wilson, Jr. The house was two and one-half stories high, built of solid brick, and enhanced with a small portico on the front with balconies on either side. It had gas lights, 12 foot ceilings with plaster moldings and a fireplace in every room. Detached in the back yard was a two story brick service building that contained a modern 1860s kitchen, a laundry room, a wood storage room and two servant’s rooms on the second floor. Across the back yard was a carriage house with a second floor hayloft where Tommy met with his friends of the Lightfoot Baseball Club. Here they practiced parliamentary procedure and operated under a set of bylaws drawn up by the future president. 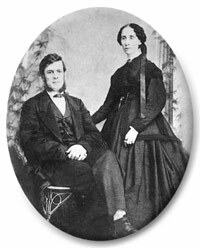 The Wilson’s lived in the house for almost eleven years, witnessing the Civil War and Reconstruction. 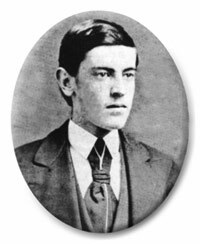 Most Wilson historians believe that young Tommy was profoundly impacted by living through the Civil War, and this directly influenced his reluctance to commit the United States to World War I. Tommy’s first memory was standing on the front gate when two men walked by exclaiming that Lincoln had been elected President and that there would be war. At the end of that war, Tommy watched with Augusta, as Confederate President Jefferson Davis was brought through the streets under guard of Union troops. In 1870, Tommy accompanied his father to see the great fallen Confederate hero, Robert E. Lee during his last tour of the South. Later that year, the Southern Presbyterian Church called the Rev. Dr. Wilson to an important teaching position at its seminary in Columbia, South Carolina. The family moved there in the fall. Never the less, the Presbyterian Manse in Augusta was the home of the future president for more years than any other dwelling place, formative years that would affect him for the rest of his life.